When you create a new Player and click the OK button, OptiShot freezes and no longer reacts to the mouse or keyboard. You may see two cursors: the Windows cursor, which will move, and the orange OptiShot cursor, which will not move. This is a known conflict between OptiShot and certain computers with certain video cards. When creating a Player there are two possible messages that OptiShot might display to you. This message displays if you create a Player with a Username that already exists in the program. This message displays if you did not type in a Username for the new Player. What happens on computers with this particular video card is that these message boxes pop up behind OptiShot and you cannot see them. 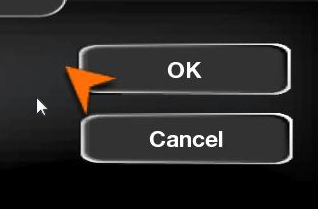 The computer will not allow you to do anything until you click the OK button in the message box. However, you cannot do that because you cannot see these windows. The computer appears to freeze. The solution is not difficult. We need to move out of OptiShot and get to the "hidden" message box and click the OK button so that we can continue. On your keyboard, press the Control key, the Alt key and the Delete key at the same time. 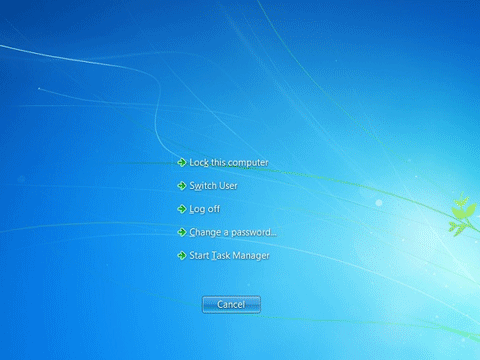 Windows® 8 does not have a Cancel button, simply click the ESC key on your keyboard. You should now see the message box and be able to click on the OK button. If you do not see the message box, look down at the bottom of the screen for the OptiShot button. There will be two buttons: one for the OptiShot program and one for the message box. Click the message box button to display it. Then click the OK button. To return to OptiShot, click the button at the bottom of the screen. Click this and you will be back in OptiShot and ready to continue. Note: You will still be in the Create New Player window. Make sure to fill in the Username, if that was the error, or change the Username if that was the error.